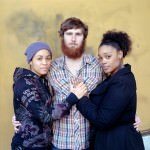 Since 2007, photographer Richard Renaldi has worked on a series of photographs for which he asks complete strangers to physically interact while posing together for a portrait. 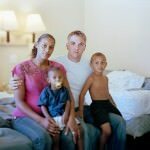 Working on the street with a large format 8-by-10 view camera, Renaldi encounters his subjects in towns and cities all over the United States. Renaldi’s objective was to introduce an unpredictable variable into a traditional photographic formula, and to create spontaneous and fleeting relationships between complete strangers. The portraits are extremely difficult to make, involving complex negotiations with the participants that push them past comfort levels, into a physical intimacy normally reserved for loved ones or friends. 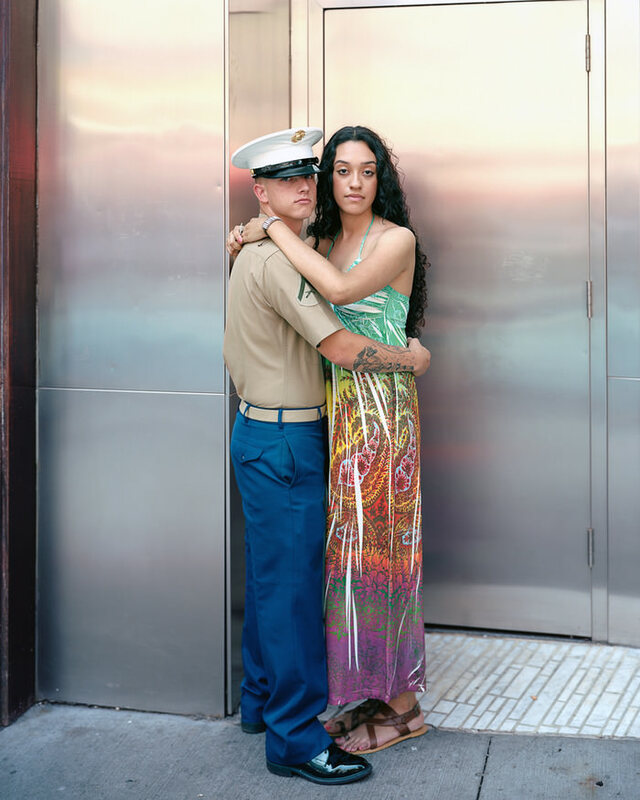 Touching Strangers creates intimate and ephemeral relationships that exist only for the moment of the photograph. The images are beautiful and strange, crossing out of the zones of safe physical intimacy with strangers and into deep emotional landscapes never photographed before. Richard works with his chosen strangers to set the pose and sometimes it’s difficult to tell if these people know each other at all. It shows how worthwhile it can be to direct your subjects as best as you can to get the right shot. I wonder if he was using a point and shoot camera would he have such willing selection of New Yorkers, probably not. Interesting way of getting portraits of people,, quite borderline ok for many people I expect,, like the older man and the young girl above,, they look very intimate for strangers. Previous post Who Is Vivian Maier? Next post Chromatica Back – Ooooh!